We manufacture switchboards and automation centres according to our customers’ needs. We are the largest manufacture of centres in northern Finland and our guiding principle is that the best solutions stem from providing the best quality in the field and meeting the customer’s demands. The company was founded in 1995. We do everything with expertise: reliably, guaranteed and from high-quality products. Our customers are the industry, manufacturers of machines and devices and electrical contractors. 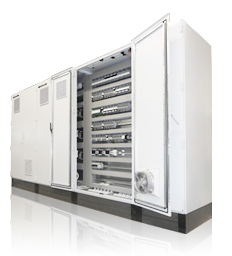 Our products are different types of electrical centres, switchgears and components. We do everything professionally: reliably, guaranteed and from high-quality products.